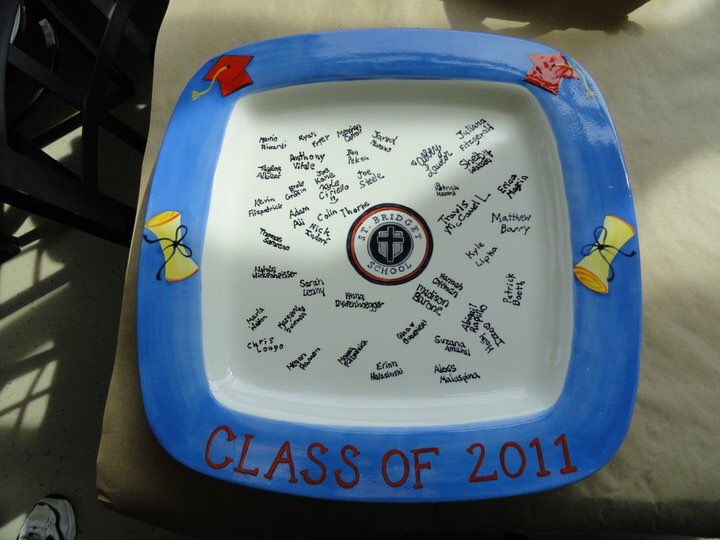 What better way to say thanks to a special teacher than to have a custom platter made for him or her! 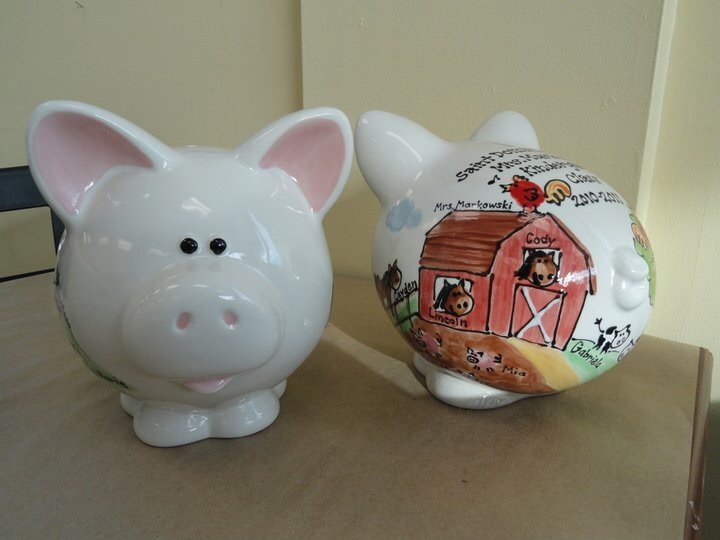 Select one of our designs or let us create a totally unique custom painted pottery piece for you. You can incorporate the classroom’s fingerprints into the design as shown in many of the samples below. These pieces also make great fund raisers for school auctions- Parents will be bidding like crazy to win a one of a kind custom classroom piece with their child's print on it! 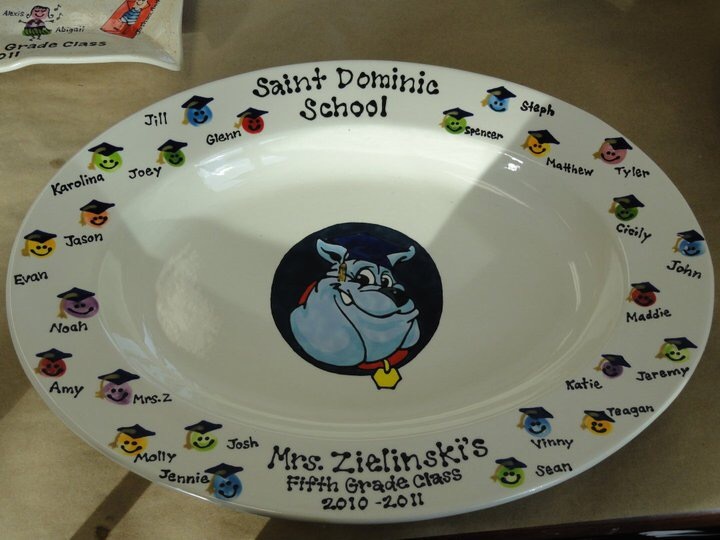 We have many schools place orders with us year after year for each grade level as our custom painted pieces help to bring in big dollars for the schools. Please contact us to discuss options and pricing. Custom pieces are generally finished within 2-4 weeks of the order but can be rushed for an additional fee in as little as seven days. 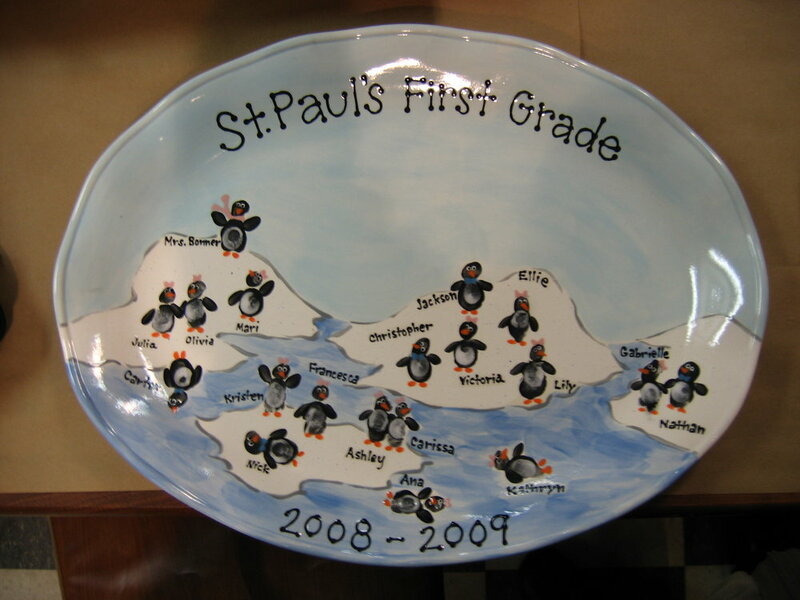 We love to give back to our local schools and so schools purchasing multiple custom designed pottery pieces for fundraising efforts, Pottery Piazza will donate up to $50 in studio certificates per school (through submission of a formal donation letter request and based on total order volume) which can be auctioned off for additional fundraising.